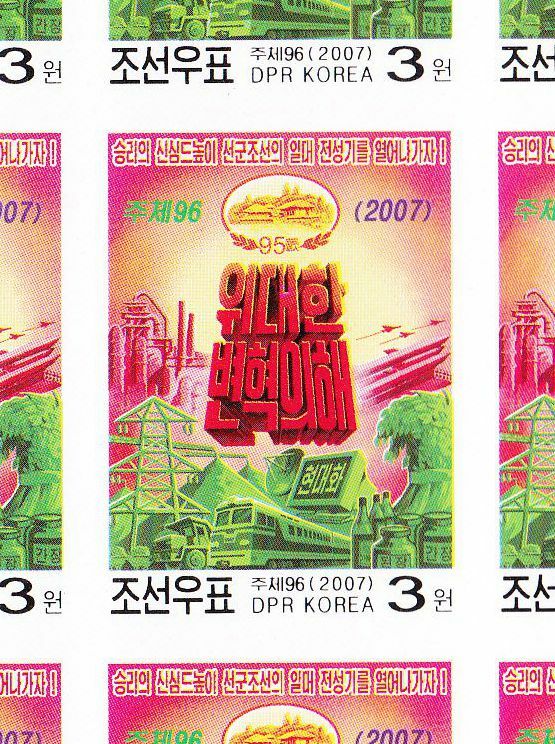 L4473, Korea "Joint Editional, National Defence", Sheet of 21 Pcs Stamps, 2007 Imperforate. MNH, Imperforate. 1 Pcs large full sheet with (3*7) 21 pcs stamps. The face value is 3 won.